Blue Screen of Death error can be frightening, as well as frustrating. 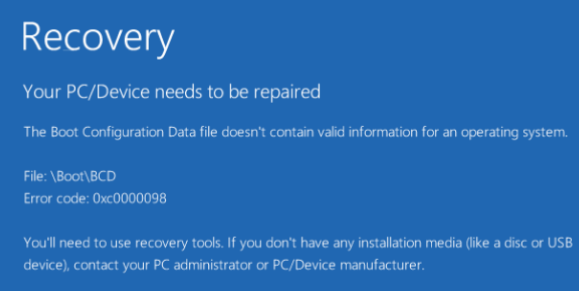 You may come across this BSOD error if you use Windows 10. 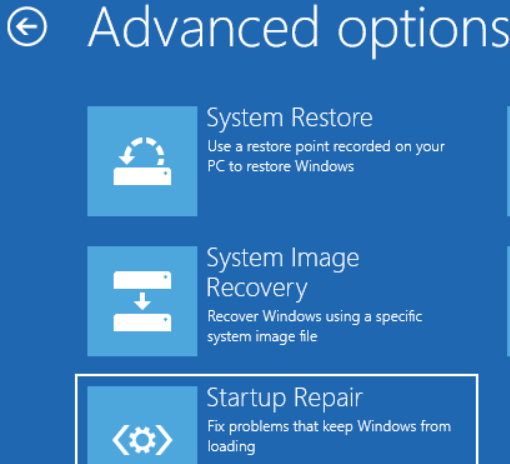 Typically Your PC/Device needs to be repaired error occurs when Windows is being loaded up. 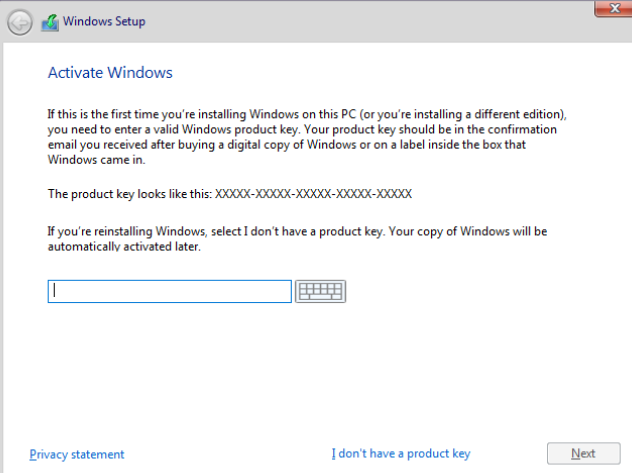 Generally, the error message contains an error code, such as 0xc0000034, 0x0000098, 0xc000014C, 0xc000000f, or any other. A corrupt or missing critical system file is usually the root cause of this error. Another common reason is issues with Boot Configuration Data (or BSD for short). 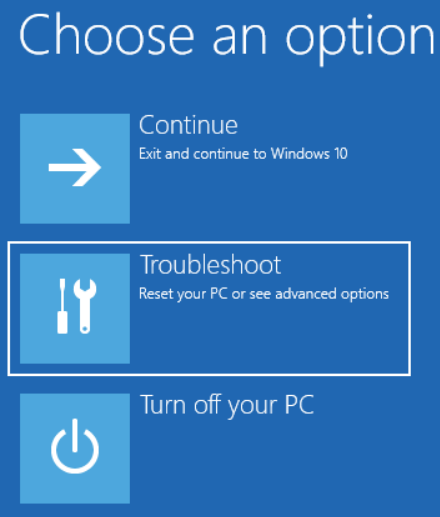 It is an important file needed to boot Windows. In this post, we’ll look at three solutions for this error. We recommend you try these solutions in the order they appear below. There’s something you need to do before you attempt the resolutions listed in this post. 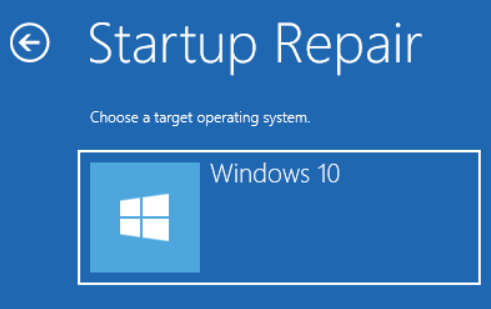 You will require a Windows 10 installation media, such as a DVD or USB drive, to perform the solutions shared here. 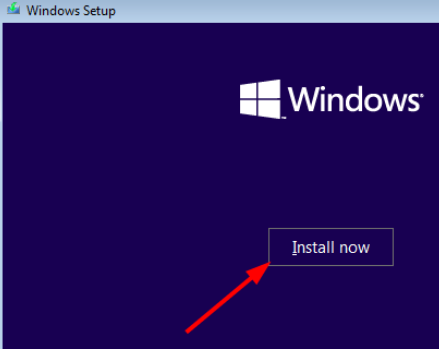 If you want, you can easily create a Windows 10 installation media with help of a USB drive. Then simply attach the USB drive to the computer, and boot Windows using the installation media you’ve just prepared. 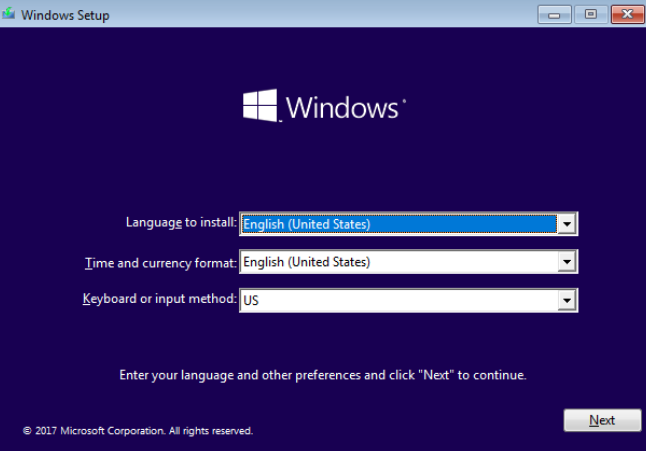 Next choose the language as well as the region. Once the following screen appears, you’re ready to execute the solutions shared in this post. 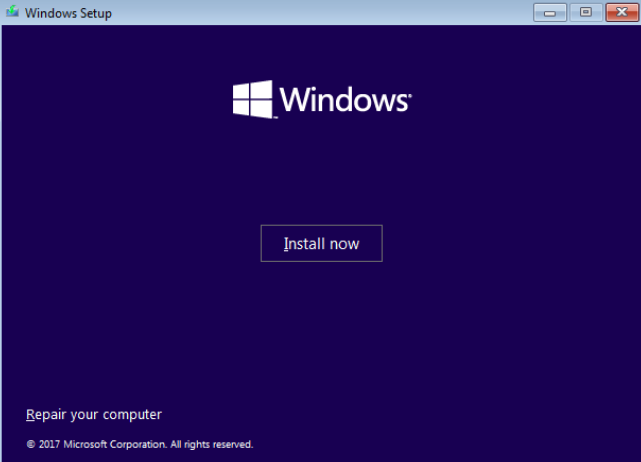 Last but not the least, reinstall Windows. Note: You’ll lose all programs, files, and data on the computer, unless you’ve created a backup copy.